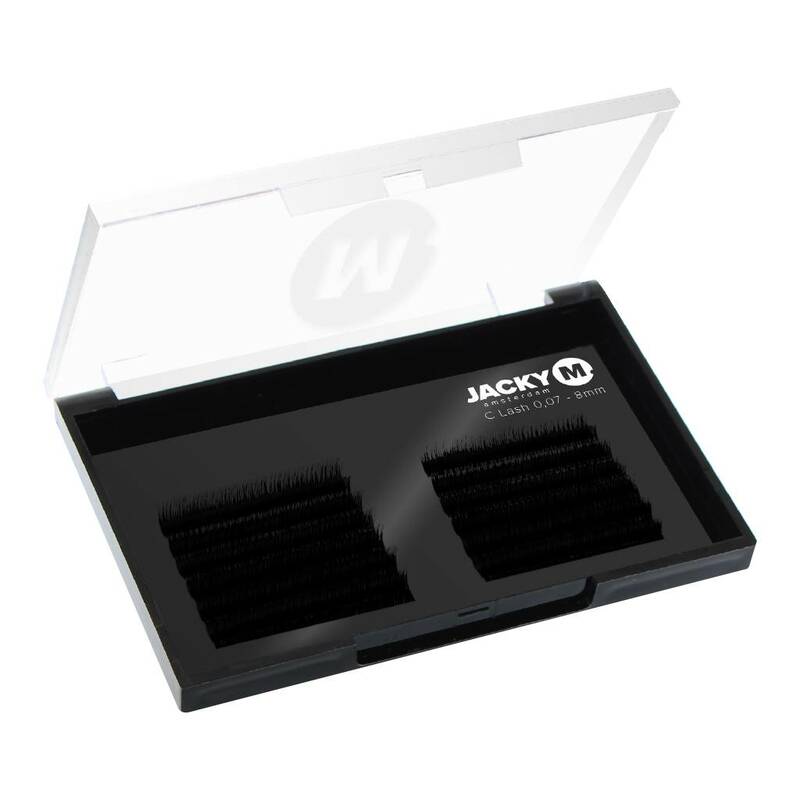 Synthetic individual lashes which easily bond. When you pick up the lashes they directly form a fan. With this new technique and using the Smart Duo tweezer it is possible to work quicker and more efficient! · An assortment package is available: curl is packed in by thicknesses with different lengths. Take the SMART Duo Angled Tweezer in the hand which you will be placing the Russian Volume lashes. Separate the natural lashes with the SMART duo volume pointed. After that, you are making a Russian Volume lash extension fan with the SMART duo Volume Angled tweezer. Slightly dip the fan in a drop of glue and place it on to the separated lash. Make sure you disinfect the tweezers before and after the treatment.